Looking to up your style game this year? This list is a great place to start. From the Boss Blazer to the Desk-to-Drinks Top, here are the 10 closet essentials you need to nail your fashion situation this year. When athleisure makes its way out of the trend reports and is here to stay as a way of life, a grown up sweatshirt is in order. No logos, no college hoodies, no holes and no marinara stains. Just a sweatshirt that you won’t be embarrassed if you run into your ex — or your inlaws! Yes, they exist. And everyone needs them on repeat. The perfectly distressed denim is defined as the jean you wear to Casual Friday, and then to the really nice restaurant for dinner. Worn with tennis shoes or red-soled Louboutins, to say these are an essential is an understatement. A cozy staple to wear in the colder months or kept in your work drawer as your desk sweater (thanks freezing AC! ), the duster cardi gets the job done in style. Easy, elevated and effortlessly chic, think of this is as the new Little Black Dress. A great white tee is the building block of a solid capsule wardrobe closet, the perfect contrast canvas to your statement jewelry, the MVP of the layering team of your wardrobe and works as palette cleanser when you want to keep it simple and stylish. The blazer that makes you feel polished and put together, confident and chic. Every one of us needs a blazer that makes us feel like a boss. Wear it to your Monday meeting, wear it to the big dinner date, it’s a styling chameleon. Nothing crazy, sometimes a basic black does the job. A classic trucker or an on-trend embroidered, a denim jacket is a modern day staple. 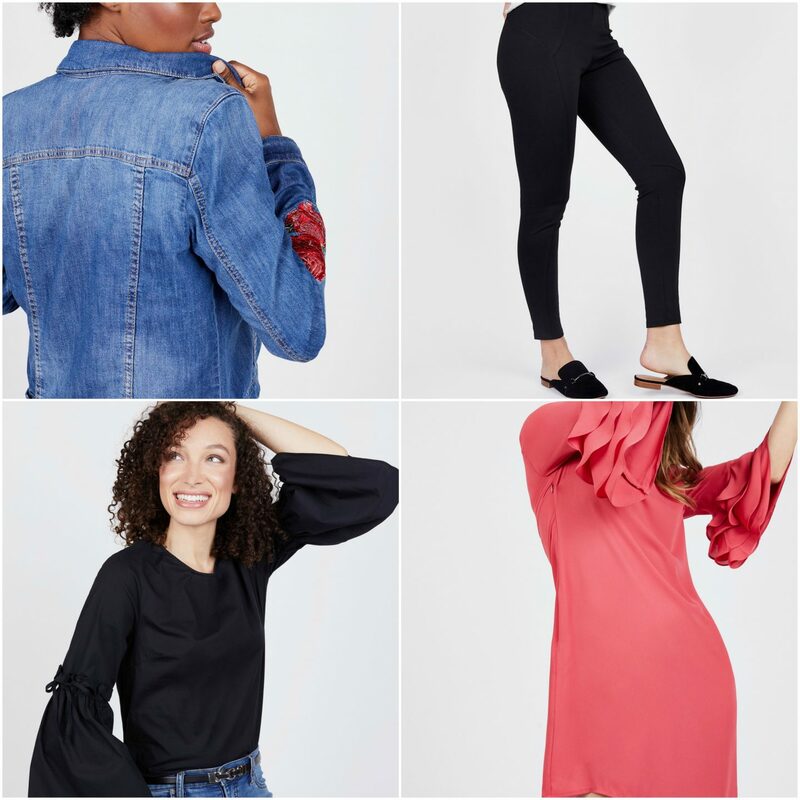 Throw it on after yoga to up your athleisure game, take your favorite summer dress right into fall, or drape it on your shoulders when the weather gods are playing hard to read, the humble denim jacket is so much more than the perfect transitional layering piece. The endless comfort a ponte legging is unbeatable. Easy to tuck into boots, comfy for all-day lounging, the legging pant is a must-have for work, weekend and everything in between. It’s hard enough getting dressed for work but throw in after-hour drinks with your chic friends and precious morning minutes go flying out the window. Solution? Having some desk-to-drinks tops in hand. We love a good black blouse that can be dressed up or down. Move over black, we are in the mood for some color this year! Enter a dramatic dress in a striking, bright hue. Subtle design details on a classic silhouette go a long, long way and always save the night when you think you have nothing to wear. With a dress this bold, you need little else. Next Post What Makes You Feel Confident?